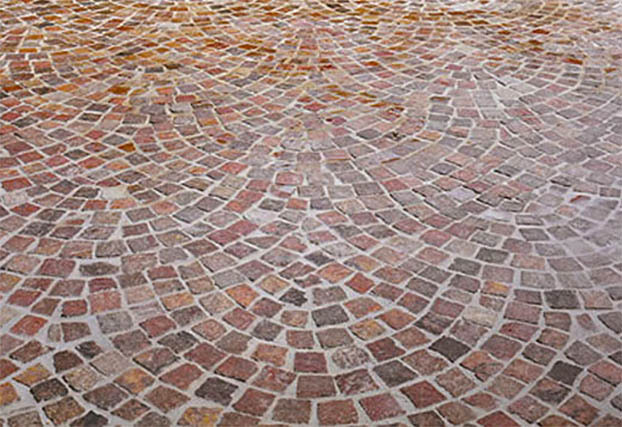 The discovery and use of porphyry, a volcanic stone used for quality paving applications, dates back to thousands of years ago as the material of choice of royalties. The word derives from the Greek porphyros, meaning the color purple, which was the only color available in ancient times. Installations: De Young Museum, Paul Getty Center, Prestigious condominiums and villas, public spaces around historical city areas and buildings around the world. Given their beauty, ashlar stones are generally used for facing supporting walls or as covering for the facades of buildings. 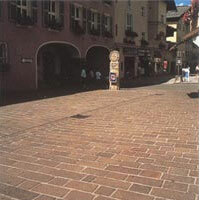 Tiles with natural surfaces are often used for paving and facing of both internal and external areas. 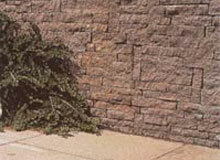 Cubes, Binders, Irregular Slabs, Ashlar Stones, Tiles: Natural and Machine Surface.